Toothpicks Size: 12 cm/ 4.72 inches. Package: approx 200 pcs cocktail stick. Make your holiday gathering snack plates festive with a touch of seasonal color. Great for wedding party, cocktail party, family gathering or barbeque snacks, club sandwiches, etc. Ships from Hong Kong. Great for summer entertaining! Whether you are garnishing cocktails or making creative appetizers, these bamboo l skewers (toothpicks) will show off your entertaining skills! Bamboo sticks with nice frills. Great use as party frilled, garnishing drinks, cocktail sticks, finger food picks, bento food picks sandwiches picks, appetizers picks, plates picks, cupcakes picks, fruit picks or buffet food picks. Make your holiday gathering snack plates festive with a touch of seasonal color. 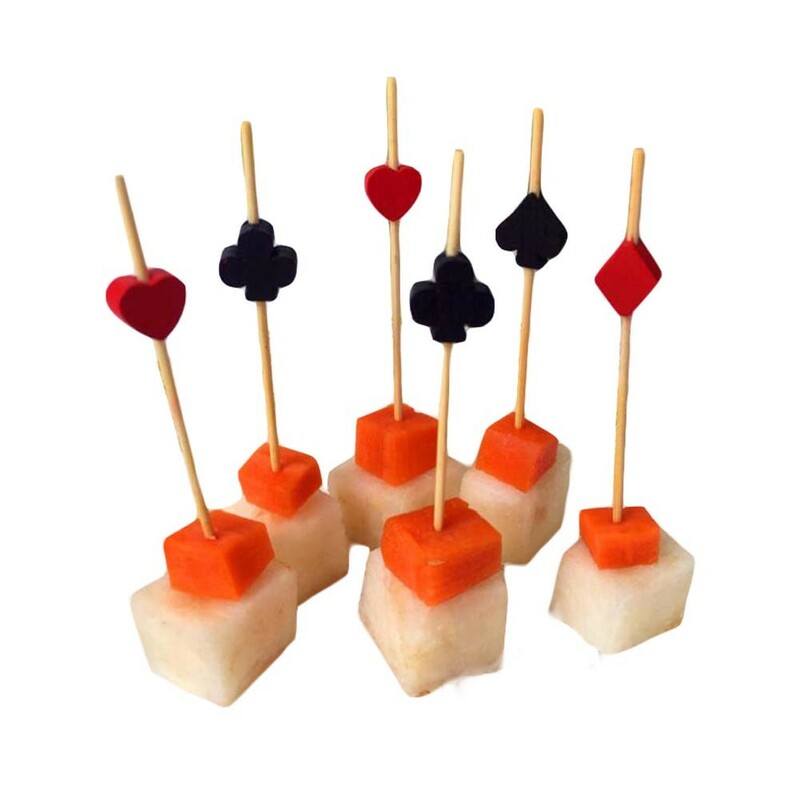 Great for wedding party, cocktail party or barbeque snacks, club sandwiches, etc.